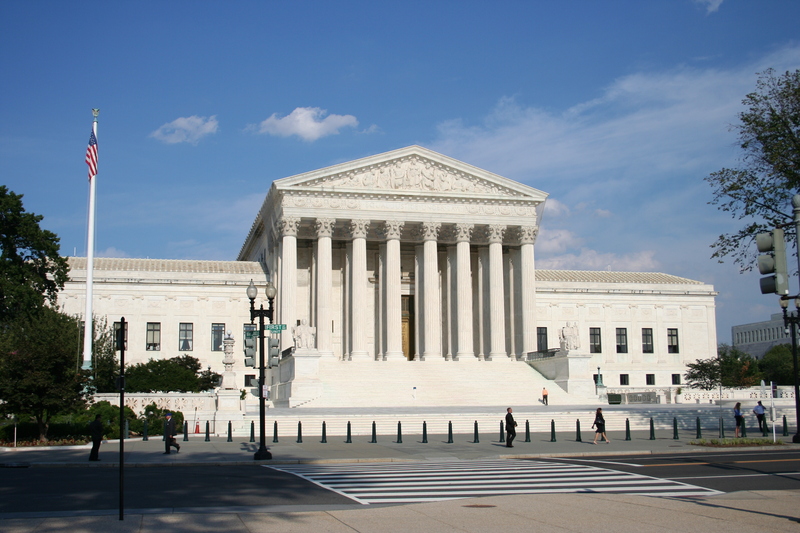 In November, the Supreme Court announced it would hear a case, King v. Burwell, which poses a huge challenge to a major piece of the Affordable Care Act (ACA). On March 4, the case will be heard, with a decision likely in the end of June. Wait, you may be asking, didn’t we already have a major Supreme Court case and wasn’t that decided a while ago? That case, decided in 2012, upheld the constitutionality of the ACA and its individual mandate – the requirement that people be insured or pay a penalty. But the decision also allowed some states to decline to expand Medicaid coverage to cover low income residents. Although the number of states refusing to expand Medicaid has been shrinking over time, still 22 states have yet to do so. Now, with the King v. Burwell case, here we go again, with the Supreme Court potentially derailing a key insurance coverage provision of the ACA. This time, the case the court is hearing focuses on the subsidies that people receive to help them purchase their health insurance through the health insurance marketplace. The plaintiffs in the case are claiming that subsidies can only be obtained if states run their own exchanges, and can’t be obtained through the federally operated marketplaces. Some states, like Connecticut, are running their own marketplaces. However, many other states opted to have the federal government run their health insurance exchanges for them, are in some sort of partnership where the operation is shared. This map shows the breakdown. Note that there is a lot of overlap between states which haven’t expanded Medicaid and states that are not running their own exchanges. This technical argument being made by the plaintiffs, is not supported by the intent or substance of the law. Instead, the King v. Burwell case is just another example of political opponents of health reform trying by any means necessary to wound the ACA and take it down. With more Americans covered than ever, their options have been dwindling. So they maneuvered to get the case to the conservative-dominated Supreme Court. And the Supreme Court obliged by agreeing to hear the case. The fact that they took the case at all, is not good news for the millions of people who stand to lose their subsidies. Many organizations have filed amicus briefs that support the intent of the ACA to offer subsidies regardless of whether insurance has been purchased through a federal or state-based exchange. Connecticut’s attorney general signed on to one such brief filed by 22 states. Many other briefs from a wide range of organizations have been filed in defense of the subsidies. Supporters of health reform will want to watch this case closely. This entry was posted in Jill Zorn and tagged Affordable Care Act. Bookmark the permalink.